Mounting Center Distance B 2.43 in. Fastener Hole Diameter 0.96 in. Packaging Dimensions 5.5 in. x 4.25 in. x 1.39 in. 1 answers Does this battery box have 4 leads (2 per 9 volt battery) or just 2? This is a dual 9 volt battery box. 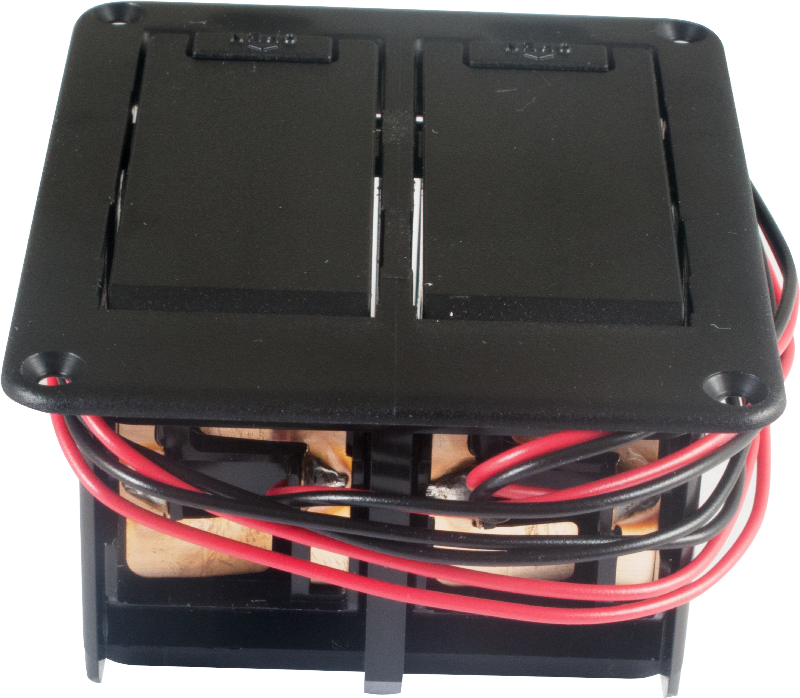 Two 9V battery compartments, each compartment having its own red and black wires for battery positive and negative connections (4 wires total) allowing for series, parallel or separate connections of two 9V batteries. 1 answers Hi, I’m looking for a 18v battery box to be installed in the strat style guitar. I asked my Tech and he told me to get the jig (template?). I am wondering if you have any jig or template that comes with the 18v battery box you stock. There is a template in the directions attached above. You could make a jig from this template. 1 answers What are the dimensions? 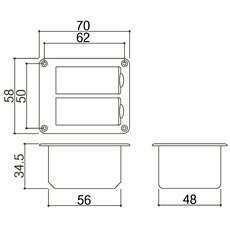 Item Length: 2.76" Width 2.294" Height 1.37". 1 answers Does this box have contacts for the battery connection or does it have the typical snap-on wired connectors? Thanks. This box has contacts, not the typical snap on connectors.